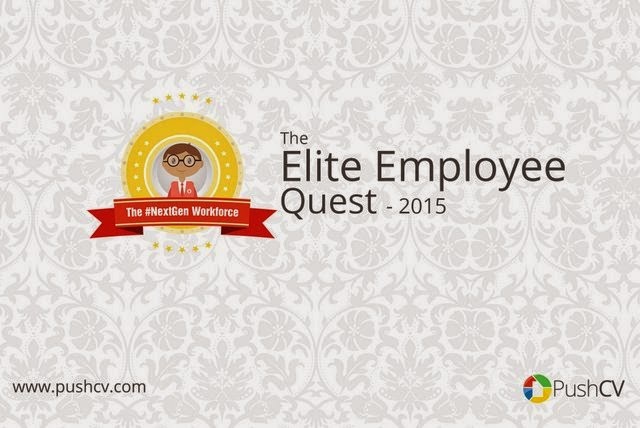 If you have applied for the Elite Employee Quest2015, you made a smart decision applying. The fact that you applied for this program shows that you are not afraid of being assessed and you are extremely confident in your ability to add value to any company. We really respect your courage. There are so many individuals in the labour market who are not employable and are not even aware of it. The Elite program is aimed at finding premium (Elite) candidates for top organisations and improving the employability of those who need help. The program is a 6-week program that consists of 4 weeks of Online testing and assessments and 2 weeks of interactive interview sessions. The program will test you for immediate placement in top organisations, you will also learn a lot of important things that will propel you in your career. And if you have not applied, after reading everything above, what are you still waiting for? Head on to The Elite Employee Quest website to begin your application. It’s simple and it’s quick! The application process is still on going and will end on the 17th of March, 2015. As soon as you are selected for the program, you will be notified via Email and SMS. You will be updated only once every week till the application closes on the 17th of March. Make sure you invite one person you care about today! Be a part of the next generation workforce.